Rubellite | Gemstones from A-Z at Rocks & Co.
Back Home Gemstone Information Rubellite | Gemstones from A-Z at Rocks & Co.
Rubellite is a commercial name derived from the Latin 'rubellus' (reddish) and the Greek 'lithos' (stone). 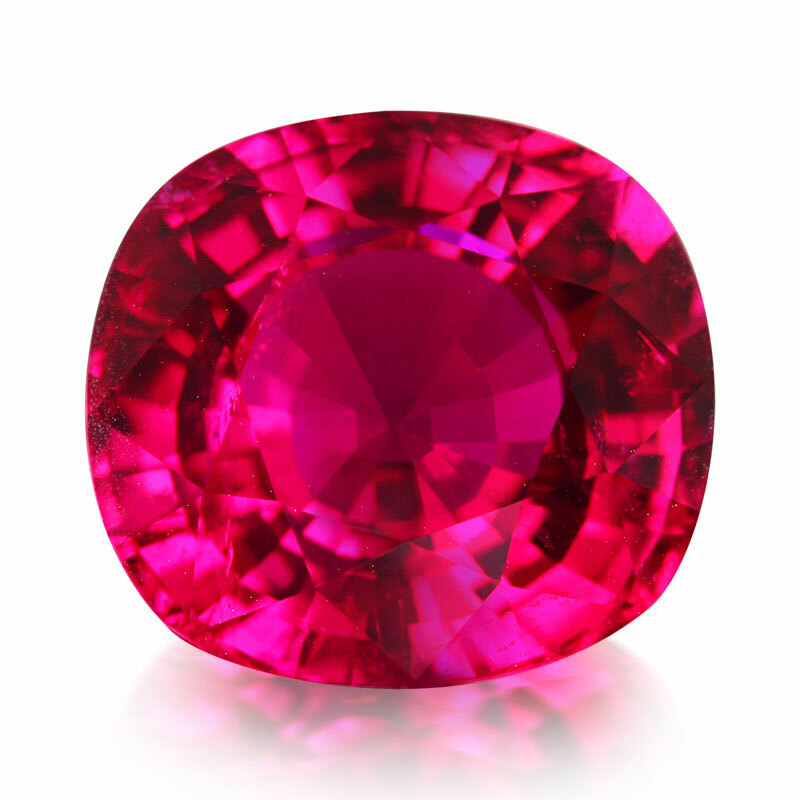 Just as with other Tourmaline varieties, there is a historical propensity for Rubellite to be confused with Ruby or even Sapphire. 'Ruby' jewellery reportedly commissioned by Peter the Great (1672-1725) for the Russian Imperial Court were later discovered to be Rubellite. A member of the Tourmaline family, Rubellites purplish-reds are due to manganese. 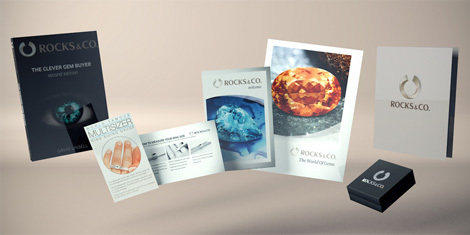 The more manganese present the deeper the tone and saturation but can also increase inclusions. Rubellite, like Ruby, is doubly refractive and Tourmaline is strongly pleochroic, the most dichroic (two-coloured) of all gemstones. This means each Tourmaline crystal has two colours (primary and secondary), whose intensity changes when viewed from different angles. Completed Rubellite will typically have primary pure reds in combination with secondary purples or pinks. Rubellite with more pure red is more sought after while the purplish-red varieties are more common. Rubellite is classed as a Type III gemstone, meaning they typically grow with many inclusions in nature. There are four main Rubellite deposits today. Brazil's first Tourmaline mine, the historic Cruzeiro mine located in São José da Safira in Minas Gerais, was an important deposit in the late 70s and early 80s. From 1998 onwards the Nigerian deposits in farming areas about 40 kilometres from the city of Ibadan in Nigeria's Oyo state were the most renowned. These deposits were virtually mined out within two years of discovery and are largely depleted today. This Rubellite is known for how fine it is and its larger size. The deposits near the town of Betafo, Madagascar, were discovered in 2005 but many of these examples are quite brown and therefore not as desired. Finally the most recent discovery in Mozambique’s Manica Province in 2008 contains examples with an unusually high ‘eye clean’ clarity and classic colour. 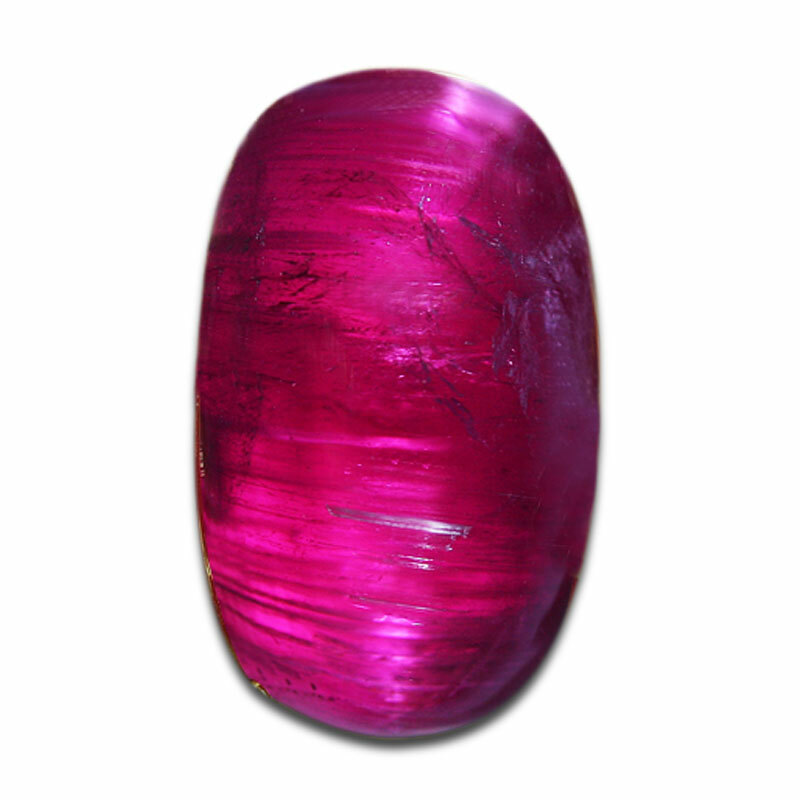 Rubellite is distinguished from Pink Tourmaline by its deeper tone (lightness or darkness of a colour) and greater saturation (strength of a colour). One thing to remember with Pink Tourmaline is that it's usually less included than Rubellite. Classed as a Type II gemstone, Pink Tourmaline typically grows with some minor inclusions in nature which may be eye-visible. Historically, carved pink and red Tourmalines were a big hit in China. Current sources for Pink Tourmaline include Afghanistan, Brazil, Madagascar, Mozambique and Nigeria.